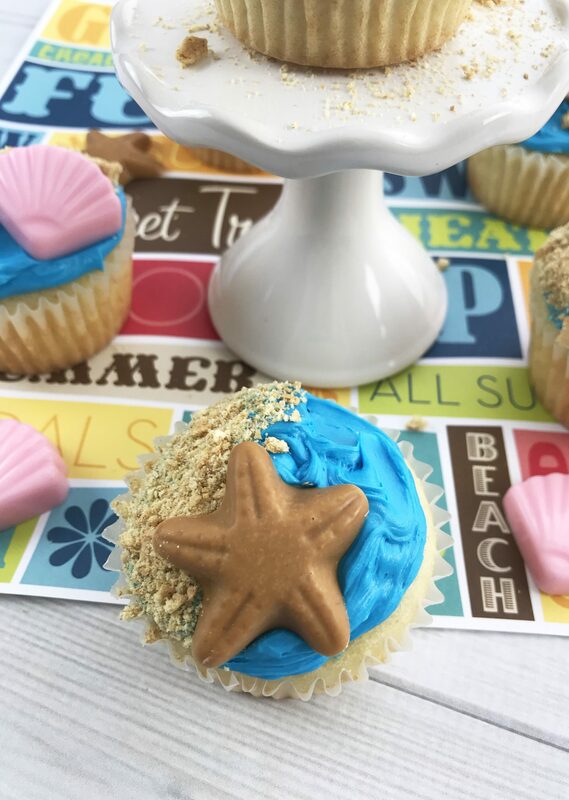 These Beachy Cupcakes are perfect summer treat and fun for the kids to help make too. 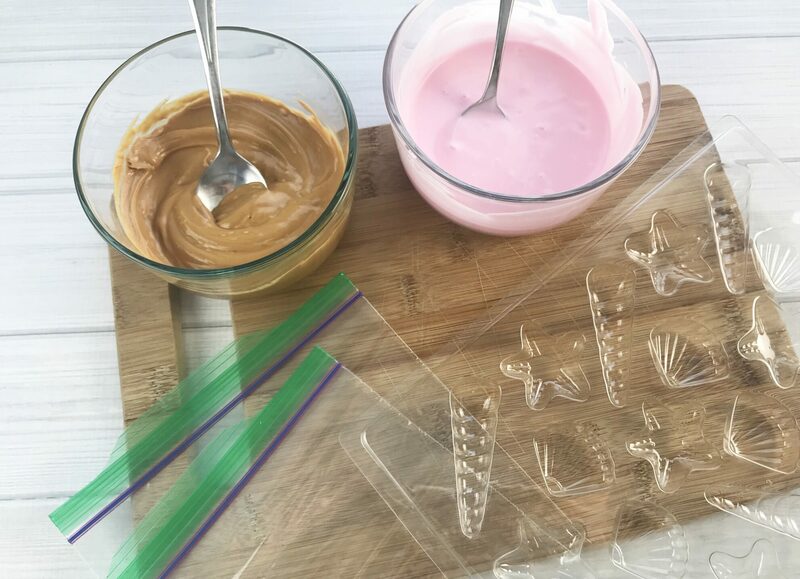 And you can’t go wrong because it’s just easy – thanks to the candy molds! 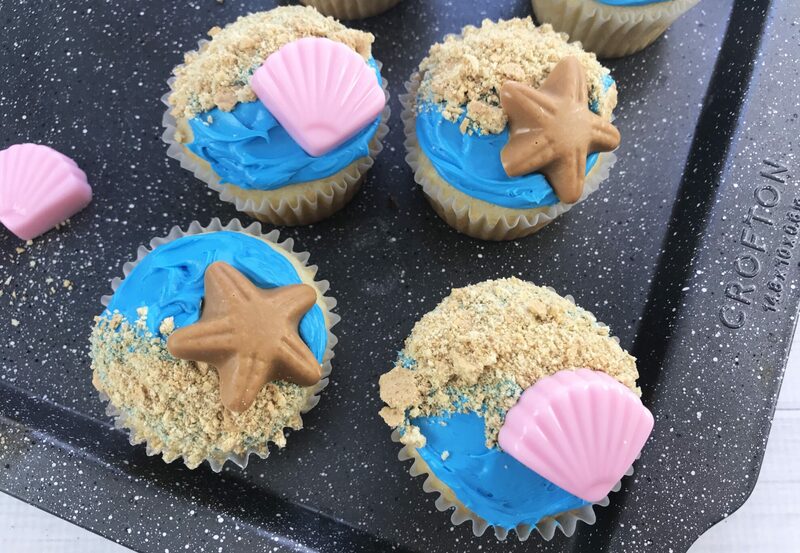 Here’s the rundown on how these Beachy Cupcakes work! 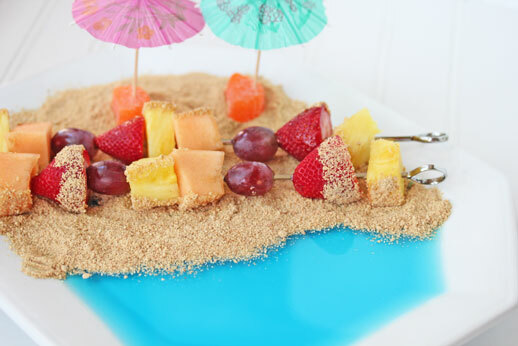 Melt the candy and add to the molds. Let set at least 30 minutes in the fridge. 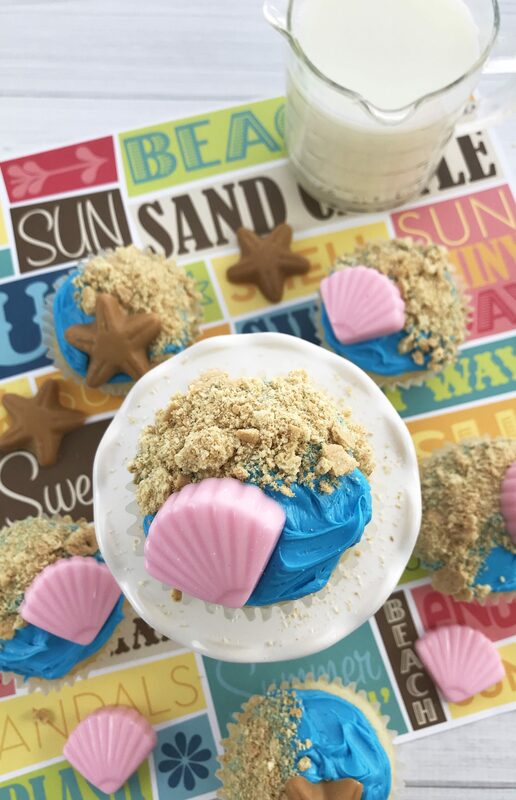 Meanwhile, crush the graham crackers and mix up the ocean blue frosting. Frost with the ocean blue frosting. Repeat until they are all made. Preheat the oven to 350 F and line a 12 count muffin tin with cupcake liners. Lightly grease liners with non-stick cooking spray. In a large mixing bowl, combine the sugar, eggs, melted butter, vanilla extract and milk. Slowly fold in the flour and baking powder. Fill the cupcakes wells about 2/3 full. 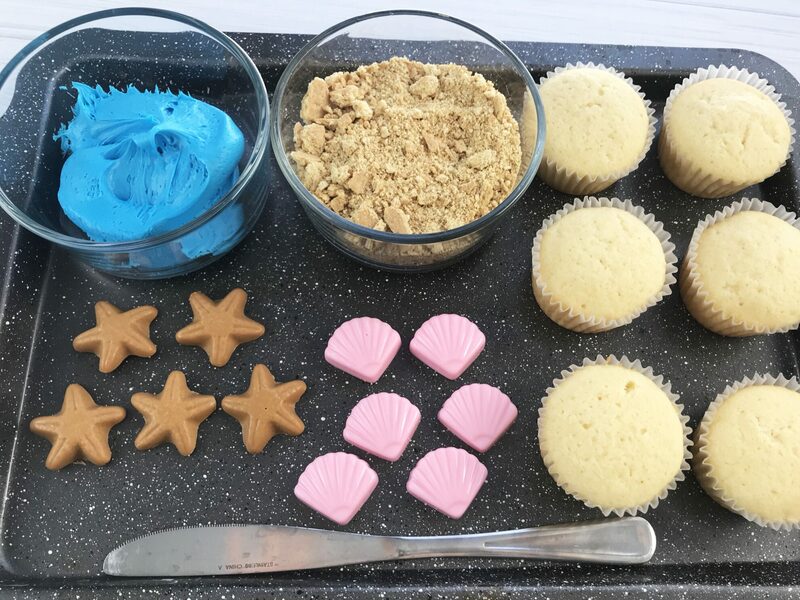 Bake in the preheated oven for 18 to 20 minutes. Remove from the oven the let cool. 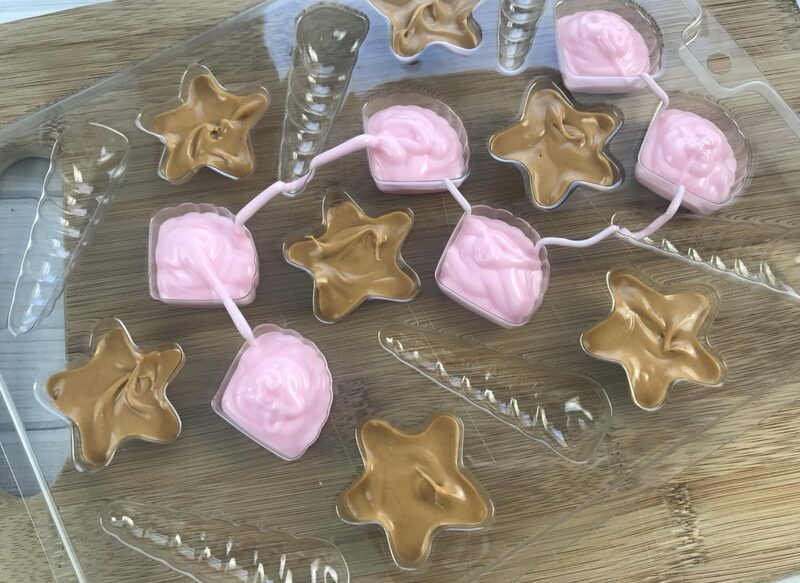 While the cupcakes are baking, pour 1/2 of the light pink and peanut butter candy melts into separate microwave safe bowls. *Place in the fridge to set about 20 to 25 minutes. 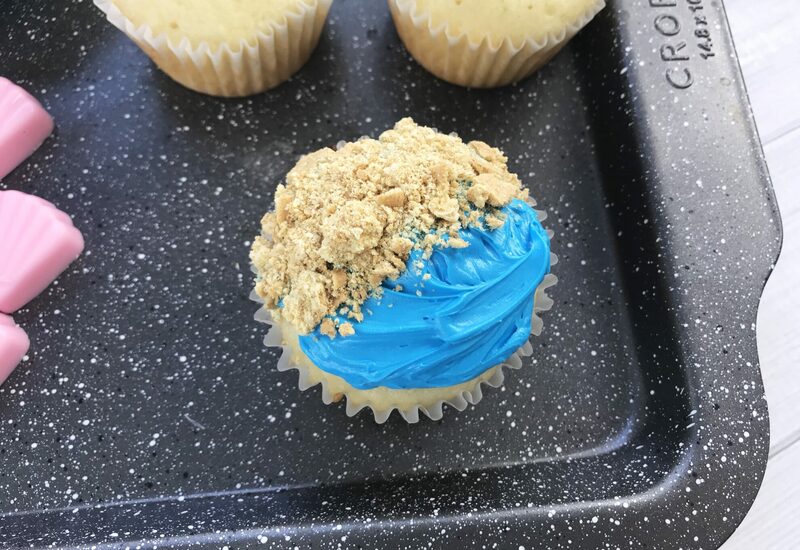 Add a few drops of blue food coloring to the white frosting and mix. 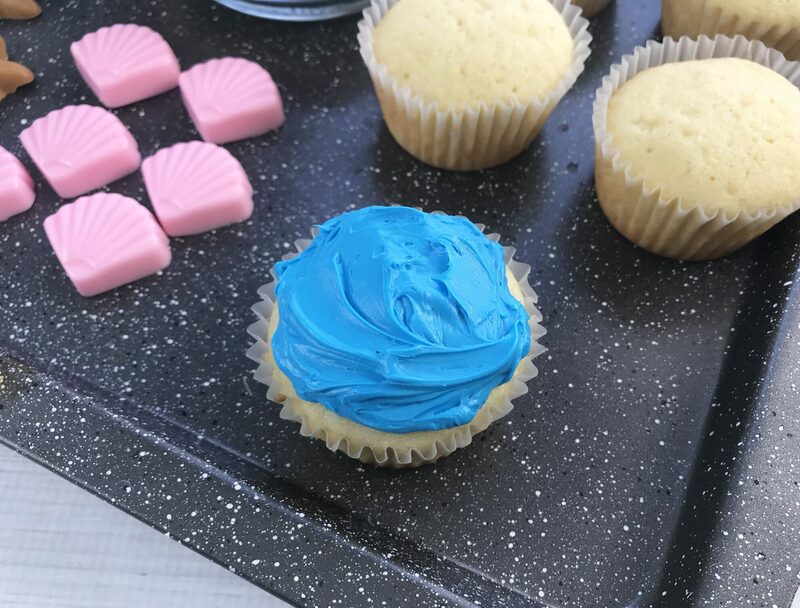 Once cooled, generously frost each cupcake. 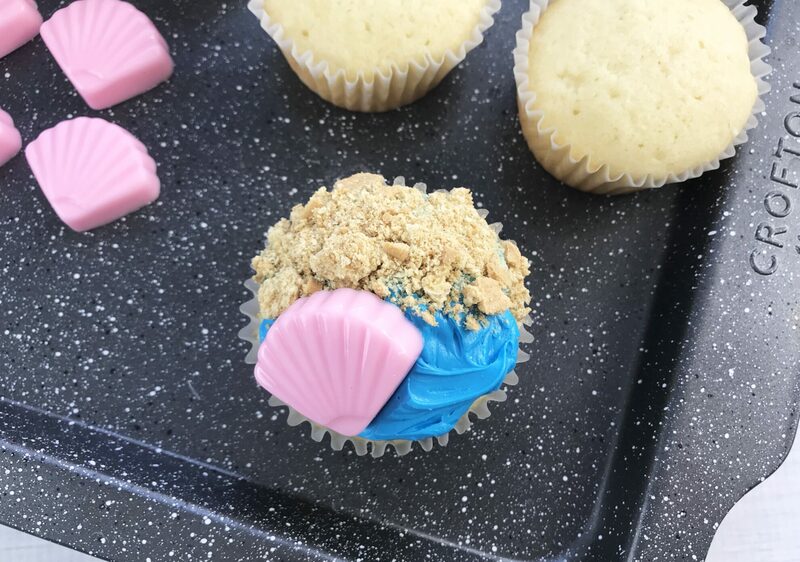 Dip 1/2 of the cupcake into the crushed graham crackers for the sand and then add a seashell and/or star fish.